and the Hubble Heritage Team (STScI/AURA). There are a multitude of celestial bodies, and all of them spin. Any substance that contains charged particles is a form of plasma: electrons, positive ions, electrically charged dust particles, neon lights, lightning, Earth’s magnetosphere, the solar wind, stars, and even galaxies are plasma. In energetic regions of plasma, filaments of electric current flow in closed circuits, otherwise the charged particles would accumulate and the flow would stop. 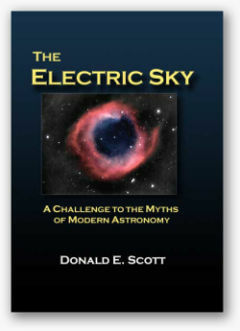 The existence of electric circuits in space is what distinguishes Electric Universe theory from most, if not all, conventional viewpoints. 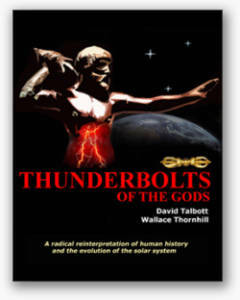 As Electric Universe advocates insist, it is the behavior of electricity that explains phenomena that appear "mysterious" to space scientists. X-ray emissions from planets, braided plasma filaments, hourglass-shaped nebulae, and jets of charged particles erupting out from galactic axes provide observational evidence for the existence of plasma circuits. Celestial bodies are not isolated from one another, but are connected across vast distances. Electromagnetic forces squeeze those conductive channels into filaments that tend to attract each other in pairs. Electric fields that form along the long strands generate an attractive force that can be 39 orders of magnitude greater than gravity. However, when they get close to each other, instead of merging, the plasma "cables" twist into a helix that rotates faster as it compresses tighter. It is those "cosmic transmission lines" that make up galactic circuits. 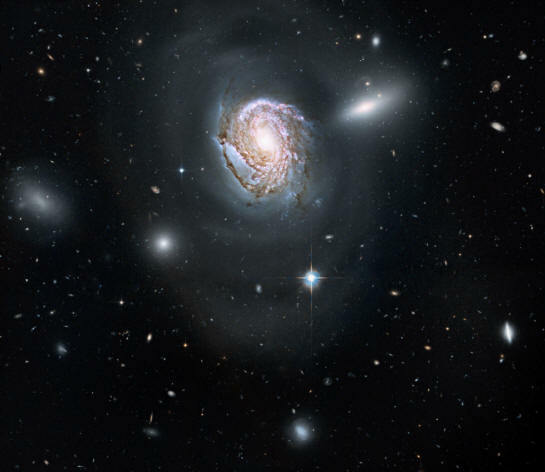 Astronomers maintain that galaxies are condensed clouds of hydrogen and dust that have been compressed by gravity until they ignite with multiple thermonuclear fireballs. Since there is not enough luminous mass to account for their large angular momentum estimates, theories that involve "haloes of dark matter" around galaxies, or "supermassive black holes" in their centers have been proposed for why galaxies spin. The cosmos appears to be interlaced with untold numbers of interacting circuits that occur in nested hierarchies. Each of those circuits appears to be composed of untold numbers of twisting filaments of plasma called Birkeland currents. At the largest observable scale there are power-consuming objects, or loads in the various circuits, that appear to be converting electrical energy into rotational energy. Consensus opinions suggest that galaxies, stars, and planets spin because of how they formed. A comparatively large cloud of gas and dust is said to contract, causing its spin rate to increase. Although, why a randomly moving cloud of particles should have a net spin rate is both illogical and unexplained. In the case of a galaxy, spiral arms form, a disk of material surrounds the central nucleus, and eddy-currents inside the disk condense into stars. The spinning cloud is supposed to overcome its internal gravitational attraction with centrifugal force, flinging out material like drops of paint. In the same way, stellar systems develop within eddies that form in discrete bands around fusion-hot gravity wells that, in turn, become planets, moons, comets, and asteroids. Since they are all supposed to share a similar genesis, they are all believed to spin for the same reason. Hannes Alfvén's "electric galaxy" hypothesis, on the other hand, states that galaxies (and by extension, stars and other objects) are more like a device invented by Michael Faraday, the homopolar motor. A homopolar motor is driven by magnetic fields induced in a circular, conductive metal plate. The plate rotates between the poles of an electromagnet, causing it to spin at a rate proportional to the input current. 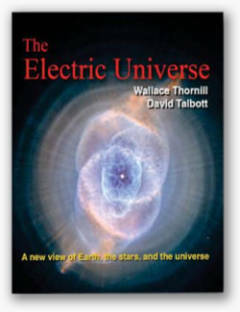 Since galaxies exist within a filamentary circuit of electricity that flows through the cosmos, they and their attendant stellar and planetary offspring most likely spin because of electricity flowing through them like it does through Faraday's motor.